Gallery Manager: Petrina McNeill is a printmaker originally from England who relocated to Canada in 2010. Completing her Masters degree in Printmaking at Northampton University in 2001, McNeill combines her arts education with over fifteen years of business administration. Her career has included experience as diverse as being a picture researcher at a photograph library to overseeing manufacturing operations, administration and logistics. Since moving to the Okanagan McNeill’s own artwork has investigated notions of place and home and how to map one’s self into that new home. 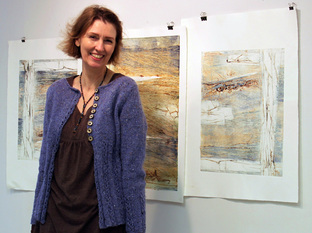 McNeill works with a combination of print techniques including monoprint, collagraph and etching. 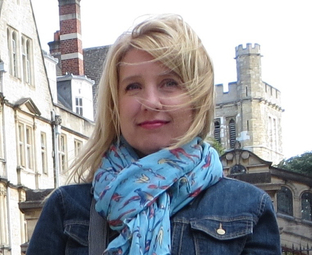 Gallery Curator: Wanda Lock was born in Oliver, British Columbia in 1969. In 1989 she enrolled into the Fine Arts Diploma program at Okanagan College before transferring to Emily Carr College of Art & Design where she graduated in 1992 with a studio major in painting. Lock returned to the Okanagan in 1992, and since then she has had numerous exhibitions throughout the Okanagan.Wanda was the manager of Opus Framing and Art Supplies in Kelowna from 1995 to 2006 and has taught art classes and workshops at the Kelowna Art Gallery. According to her significant other, Wanda watches too many coming of age movies. She is also known to Pearl Jam and even a bit of Soundgarden while working in her studio. She is not sure what her fondness of grunge music or teenage angst movies have in common with her current body of work but she is convinced that all will become clear in good time. Community Engagement Coordinator and Art House Manager: ​Tina Knoohuizen studied fine arts at OUC and went on to study Interior design. Tina exhibits her photographs, oil paintings and installation works locally in several exhibitions a year. Currently she works as a Youth Engagement Educator and Art house Manager for the Lake Country Art Gallery. 2018 Summer Student: Moozhan Ahmadzadegan is a current student at UBCO taking his BFA in Visual Arts and Art History. His artistic interests include painting, drawing, printmaking, and more. As a visual arts student Moozhan loves being involved with the artistic community both on and off campus. He participates with the Visual Arts Course Union at UBCO and regularly attends and applies for opportunities in the Okanagan. He plans to continue working on his artistic practice, eventually gain his Master's Degree, and be further involved with the local arts community. Meet former Students here: What they are up to now? President of The Lake Country Art Gallery Society: Dr. Sharon McCoubrey is an art educator and the Coordinator of Community Engagement for the Faculty of Education at UBC Okanagan. She obtained her Bachelor of Education and Master of Education Degrees from the University of Victoria and her Doctorate Degree from UBC, all in art education. Dr. McCoubrey has been the recipient of several Excellence in Art Education Awards, and has also been presented with the Order of Lake Country for her work in Public Art, a BC Achievement Award, and the UBC Outstanding Faculty Award for excellence in professional and community work, and most recently the Queens Diamond Jubilee Medal. 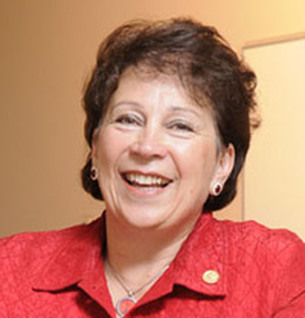 Dr. McCoubrey’s areas of research include many aspects of art education and public art, teacher education, intergenerational learning, early learning, and aboriginal education. Dr. McCoubrey is Past-President of the Canadian Society for Education through Art and has been on the British Columbia Art Teachers’ Association Executive for over 20 years. She is currently Past President of the Arts Council of the Central Okanagan, is a director of the Central Okanagan Foundation, Chair of the Lake Country Public Art Commission, is President of the Lake Country Art Gallery Society, and is in her 15th year as Chairperson of Lake Country Artwalk. who are here to greet you each day in the gallery. Without their dedication, knowledge and enthusiasm we could not offer the wonderful welcome that has become the signature of the Lake Country Art Gallery experience. If you are interested in becoming a volunteer please drop in or call the gallery for more information or click below.